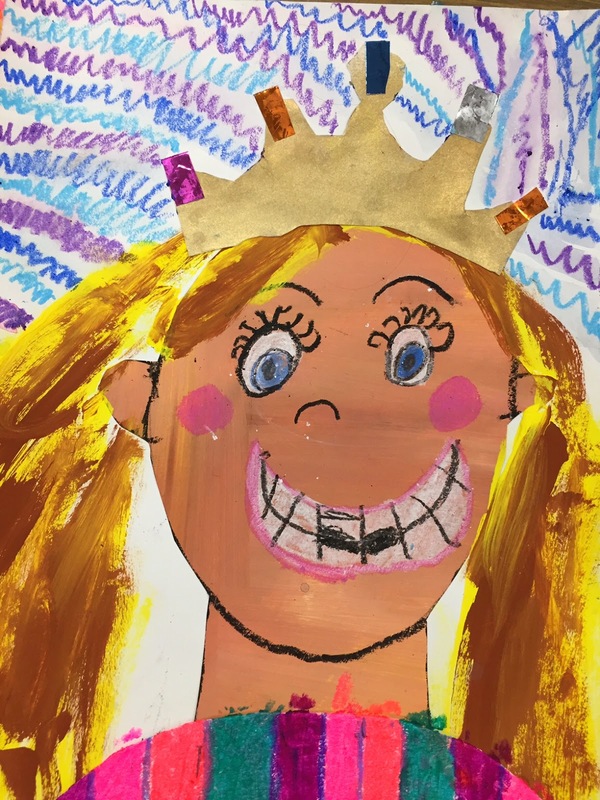 Cassie Stephens: In the Art Room: Royal First Graders! Well hello there! 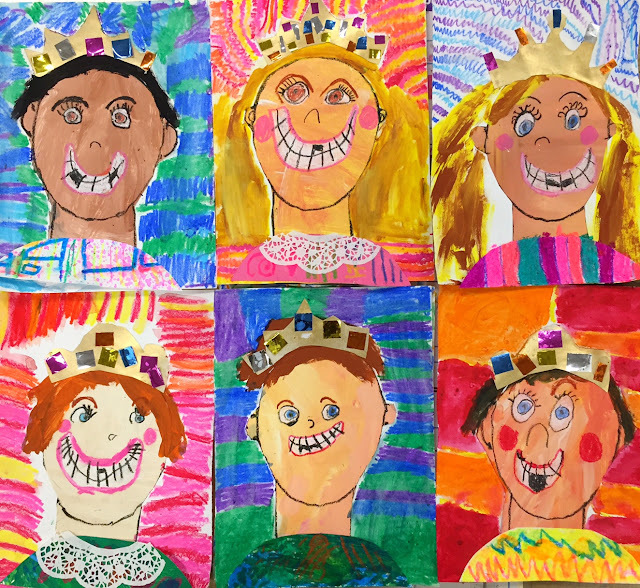 My Royal First Graders and I are thrilled to have you drop by and visit. 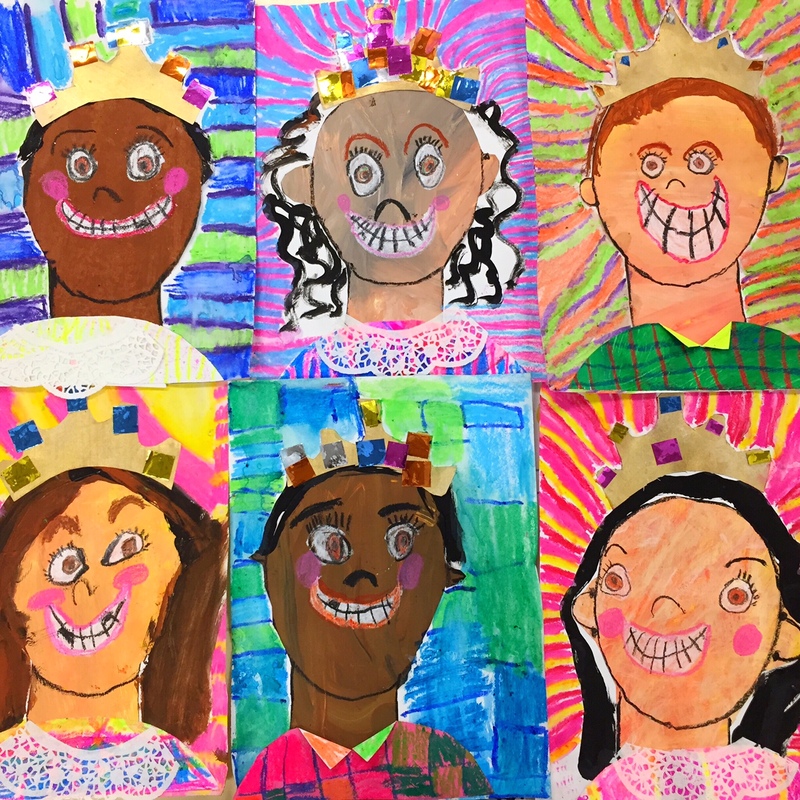 These sweet kiddos have been working super hard on their 9" X 12" selfies for our upcoming Artome Art Show! If this project looks familiar, that's because I've shared it before on this here blog! You can find additional information about this project here and here. I also got a lot of questions about this project on Instagram, namely how do I teach color mixing for skin tones. So I thought I'd film myself explaining that to my students. I also wrote a blog post about that process which you can find here. Everyone is super excited with their hard work. Cassie-I so look forward to your positive posts about art. As a fellow elementary art teacher your descriptions of your lessons and day in the elementary art world are so inspiring and keep me going after a long day. Stay you and keep up the good work! 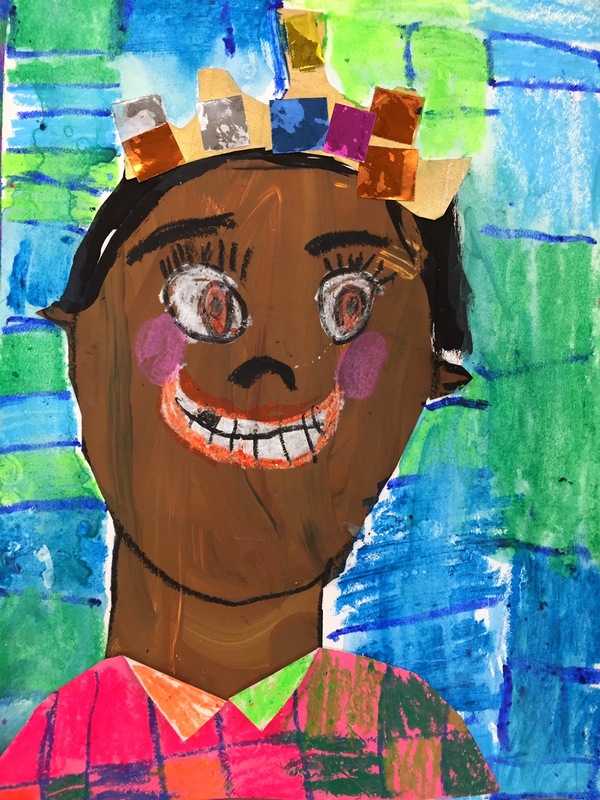 How can you look at these sweet portraits and not smile?! So Wonderful!